Public Libraries 2030 is a non-profit organisation that grew out of the Public Libraries 2020 programme funded by the Bill and Melinda Gates Foundation. The original programme began in 2014 and aimed to put public libraries on the EU agenda and raise awareness of the important role they play in life-long learning and literacy. 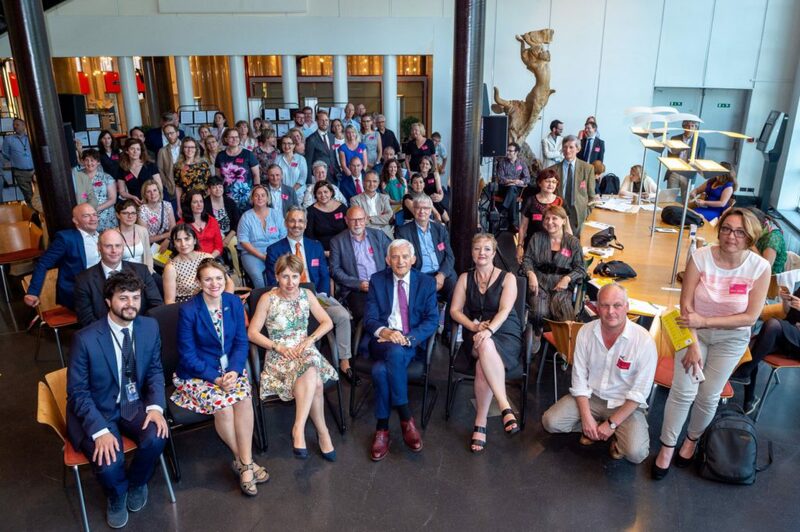 Building on the network of library leaders and European policy-makers which came together under PL2020, PL2030 works to give libraries across Europe an extra edge through the curation of innovative projects and effective advocacy. Public Libraries 2030 believes that public libraries are the key to a democratic, socially engaged and digitally inclusive Europe. We support leading European libraries to become powerful change agents. We do this by creating and sharing knowledge on the innovative projects across Europe that help to empower and engage citizens. We enable the roll-out of new initiatives and innovative community-based services to tackle the global issues facing EU citizens. Our vision is that public libraries are open places that empower citizens to create a democratic, socially engaged and digitally inclusive Europe. Advocate for libraries at EU level to foster political support and unlock funding opportunities. Help civil society initiatives to deliver on their public affairs agenda.